MIAMI, USA - Sixty-five Cuban migrants aboard the US Coast Guard Cutters William Trump and Raymond Evans were repatriated to Bahia de Cabañas, Cuba, over the last five days. The crew of the Coast Guard Cutter William Trump repatriated seven Cuban migrants on Tuesday. This repatriation is a result of two separate migrant interdictions at sea in the south Florida Straits. Fifty-eight Cuban migrants were repatriated on Saturday by the crew of the Coast Guard Cutter Raymond Evans. This repatriation was the result of four separate migrant interdictions at sea in the South Florida Straits in a span of a week. 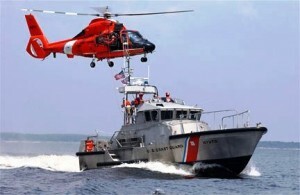 The William Trump, along with numerous other Coast Guard patrol boats and aircraft, aggressively patrol the Florida Straits to detect and deter illegal and unsafe maritime migration. Safety of life at sea is always the Coast Guard's top priority. These events were Cubans trying to illegally enter the United States on unseaworthy vessels commonly called "rustics" or "chugs." In these instances, the Coast Guard not only helped secure the US border, but they also prevented these perilous sea voyages from ending in tragedy. "The Coast Guard continues to strongly discourage attempts to illegally enter the country by taking to the sea," said Capt. Mark Fedor, Coast Guard 7th District Chief of Enforcement. "These trips are extremely dangerous and could lead to loss of life. Once aboard a Coast Guard cutter, we will seek to quickly repatriate illegal migrants to their respective countries."